How can I provide technical support in my Adobe Connect meeting room? In an Adobe Connect meeting room, the icon in the top left corner of the Adobe interface is customizable. (Typically this icon is the account holder logo and links to the corporate website). To incorporate the ability for participants to access technical support directly from an Adobe Connect meeting room, update the image to a Help Desk icon. 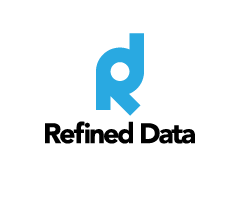 (Refined Data Solutions suggests a question mark). To do this, in Adobe Connect Central, navigate to the Administration tab >>>> Customization >>>> Customize Meeting. Here you can choose a file to upload as the meeting logo and add a logo URL directing the user to a help desk page. Link this image to a page on the LMS providing an instant support desk chat or a stand-alone chat app where participants can communicate for technical support.